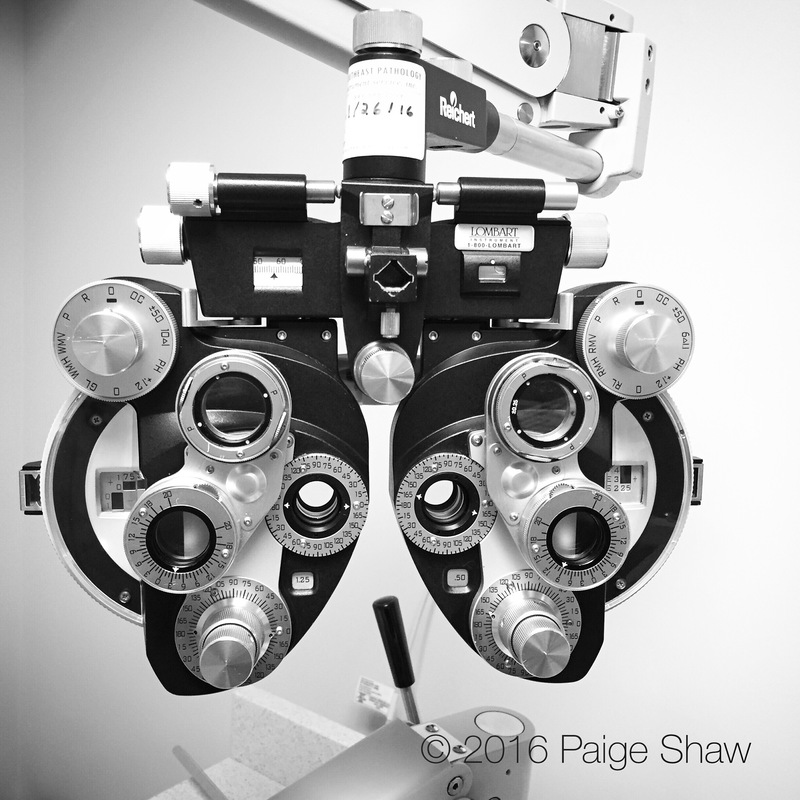 This entry was posted in Photo of the Day 2016, USA and tagged Eye Exam, Photo of the Day, Photography on March 24, 2016 by Paige Shaw. You have to reach a certain age. Then Medicare pays for Cataract Surgery which replaces the lens and corrects vision. Ergo, no glasses and little cost. Wait??? Ha! It is the exact same surgery as the cataract surgery. It’s now and I pay for it or later and insurance helps pay for it. It’s reminds me of people who fix up their house to sell it when they could have fixed it earlier – enjoyed it then sell it. When I was your age I did lasik but now the cataracts have taken over.